Welcome to coachhiregatwickairport.net, your destination for fast and convenient coach and minibus hire at London’s Gatwick Airport. We are proud to offer travellers secure online booking 24 hours a day, seven days a week. 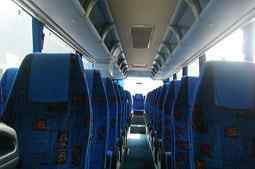 Our minibus and coach specialists are committed to provide you with top quality service. We will help you find the right vehicle that meets and exceeds all of your needs. We strive to get you to your destination on time and hassle-free. When you book your transfer with us, we help reduce stress of travelling by removing the hassle of planning connections to and from Gatwick Airport. Gatwick Airport is a major gateway for travellers visiting London and the surround area. The city attracts visitors from around the world for work and play. Whether in London for business or leisure, the historic city offers visitors world class attractions, shopping, and entertainment. From Buckingham Palace and the theatres of the West End to London Bridge and the Tower of London, the UK’s capital city is filled with memorable experiences and iconic sights. Vibrant and multicultural, London is located on the banks of the River Thames. Home to more than 8 million people, this global city is an international capital for music, fashion, finance, education, culture and more. Central London is home to some of the UK’s more renowned attractions, including the British Museum, Covent Garden, the Palace of Westminster and Big Ben, Trafalgar Square, Piccadilly Circus, St. Paul’s Cathedral, Westminster Abbey, and so much more. The city is the base for top Premier League football clubs, including Tottenham Hotspur, Chelsea and Arsenal. London is also home to Queen Elizabeth Olympic Park, the main site for the 2012 Olympic and Paralympic Games. London will once again welcome the world at upcoming championships including the 2015 Rugby World Cup, the 2016 UCI Track Cycling World Championships at the Lee Valley VeloPark, and the 2017 IAAF World Championships in Athletics. coachhiregatwickairport.net is your source for reliable and convenient transfers to and from Gatwick Airport. We pick up and drop off passengers at Gatwick’s South and North terminal buildings. 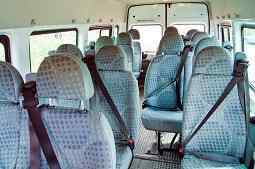 With a fleet of clean, comfortable and modern minibuses and coaches, we provide quick connections in comfort and style. Our vehicles are feature air conditioning and are operated by experienced drivers. Coachhiregatwickairport.net also offers great deals and affordable rates to get you to your destination for less. Our fully licensed and insured minibus and coach drivers can transport you to and from local hotels as well as other destinations in and around Greater London. We provide a range of minibus and coach hire services to and from Gatwick. From airport transfers to minibus hire for special events, our drivers are ready to transport you to where you have to be regardless of your needs or destination. Our airport transfers can be booked months in advance or at the last minute. We pick you up or drop you off from your doorstep, and our vehicles depart and arrive from right outside Gatwick’s South and North terminals. That means you can step out of our vehicles and you will be right where you need to be to check-in for your flight, or you can hop into our vehicles straight after picking up your bags from the arrivals hall. We will get you to your destination on-time so you never have to worry about missing your flight or an important meeting in and around London. For visitors wishing to explore more of what London and the surrounding region have to offer, we also provide day trips and tours on comfortable coaches and minibuses. Make the most of your time with a visit to Central London’s top attractions or other sites in and around the capital, including nearby beaches and attractions in Brighton. Our day trip and tour services include visits to your preferred tourist attractions and sites from the comfort of a low-cost minibus. We can accommodate groups of virtually any size, whether you are travelling with family and friends or with a larger school or seniors group. 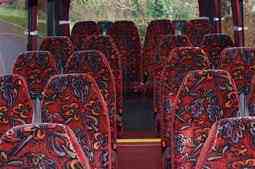 For larger groups, you can hire a spacious coach at very affordable prices. Our coaches and minibuses are also available for special occasions, including birthdays, weddings, and hen and stag nights. If you are planning a night out with friends, hire us as your designated driver. On your special day, we can provide quick transportation options for wedding or reception guests arriving at Gatwick Airport. We are pleased to offer competitive rates and a choice of transportation options. Our vehicles accommodate groups of all sizes, and they are designed with spacious luggage storage areas. In addition to minivans and coaches, we also have a number of executive cars for VIP travellers. We take care of you at every step, from your online booking to getting you to your destination safely and on time. Client satisfaction is the top priority of our dedicated and professional team of customer service specialists. Trust us for reliable airport transfers to and from London’s Gatwick Airport at affordable prices. Contact us to learn more about our modern fleet of vehicles, our service area and our rates. Travel without stress and get to your destination in style, book online with coachhiregatwickairport.net today!